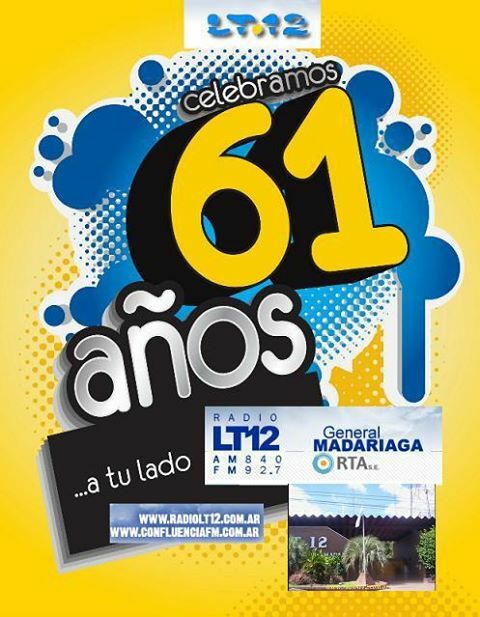 I have been hunting for LT2 Radio General Madariaga in the Province of Corrientes for decades without success. Earlier in the 70’s and 80’s the most common Argentinian, even though also a difficult one, was Radio Bahía Blanca. Nowadays LV9 Radio Salta is by far the most common Argentinian on 840 and tend to be very strong during cx off the Greater Buenos Aires area. Salta is located in the northwestern corner of Argentina bordering in the north to Bolivia and in the west to Chile. Corrientes again is located in the northeastern corner of the country bordering to Paraguay. LT12 was heard in Finland already in 1974 by Roland Sandberg (RS) and in 1985 by JPR according to lists. In Lemmenjoki LT12 phaded up only for a short while over R Salta in October 2010. I recently received a confirmation of my reception and now the only Argentinian on 840 missing in my collection is Radio General Belgrano in Buenos Aires. This station was heard together with Pertti Äyräs during LEM317 in February 2012, as we believe fpr the first time in Finland. Since, Jari Ruohomäki (JPR), has heard General Belgrano and he also managed to get a QSL, something I have not yet succeeded with yet.